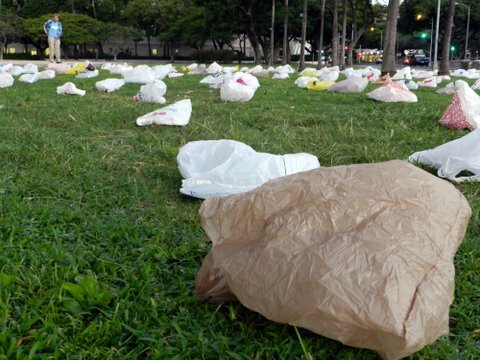 Four hundred plastic bags on the lawn at the Hawai’i State Capitol got lawmakers’ attention–will the legislature pass the first statewide bill to “bag the bag”? Click on the photo to read the story of the bag bill. Bill manages to stay on message as he explains the purpose of 350.org, the global movement he co-founded, despite Stephen’s irreverent interruptions. 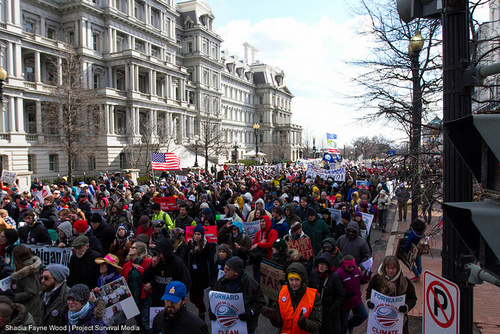 Called “the world’s best green journalist” by Time, McKibben will appear via video at Sierra Club Hawai’i”s Forces for Good Symposium on January 7, 2012.